The UK’s hottest day was recorded on August 10, 2003, when temperatures across the south-east soared above 38C for the first time. A study since then has uncovered that the 38.5C (101.3F) value may be anomalous after it became apparent that the Brogdale value was nearly 2C higher than nearby stations – a fact that would normally rule out such a reading. The actual site also leaves something to be desired with the leylandii hedge being too close to the met enclosure – and possibly helping up the temperature. Scientists are a fussy lot and like things to be done properly – believing that the figure of 38.1C recorded at Kew and Gravesend on August 10 represents the true record. But the Met Office refuse to budge and are sticking with Brogdale. 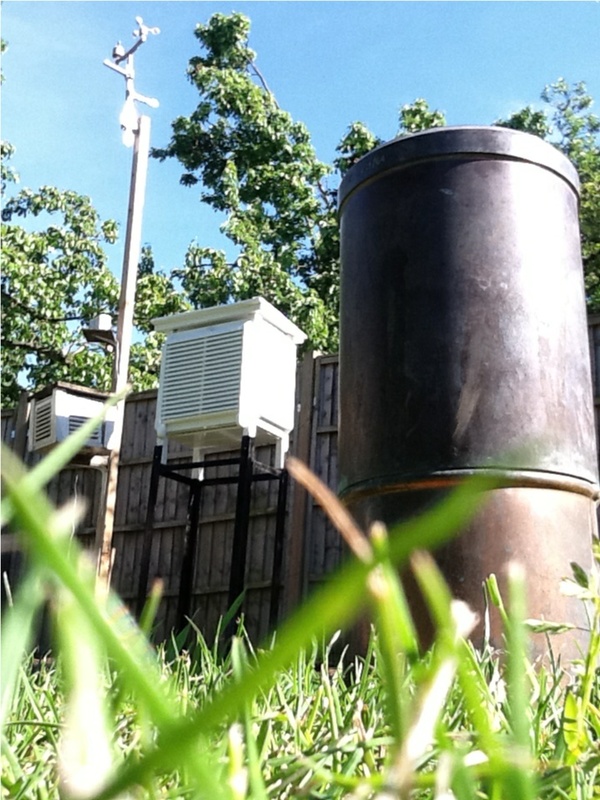 I recorded 38.4C in my own back garden – but because it is not an official site it doesn’t count. Other sites close by also set records that day: 37.9C was reached at Epping while another observer at Woodford Green recorded 36.5C at 2.30pm. Being the weather anorak I am my memories of that day are still very clear. The birth of my first daughter was imminent and my wife and I were frantically trying to finish the kitchen of our house in Leytonstone. I’d borrowed a van off a mate that day to pick up kitchen units from the Stansted area. The old Renault Master didn’t have air conditioning and a faulty fan made the cabin feel like an oven. As we trundled back down the M11 from our trip to ‘You’re Furnished’ I wound down the window to experience what I can only describe as like being blasted with a hairdryer. Obviously anything above normal body temperature of 37C is going to feel warm – the opposite of the windchill factor you get in winter. Somehow, through all the heat and pouring with sweat, we managed to unload the van at the other end and completed the kitchen. The day was the peak of the heatwave with just a couple more 30C days before, much to the relief of my wife, cooler weather arrived. Our daughter was born, over two weeks past her due date, on September 7. A sunny, fresh morning I’ll also never forget. People often ask if it is possible that the record will be broken. Of course with the right synoptics anything is possible. 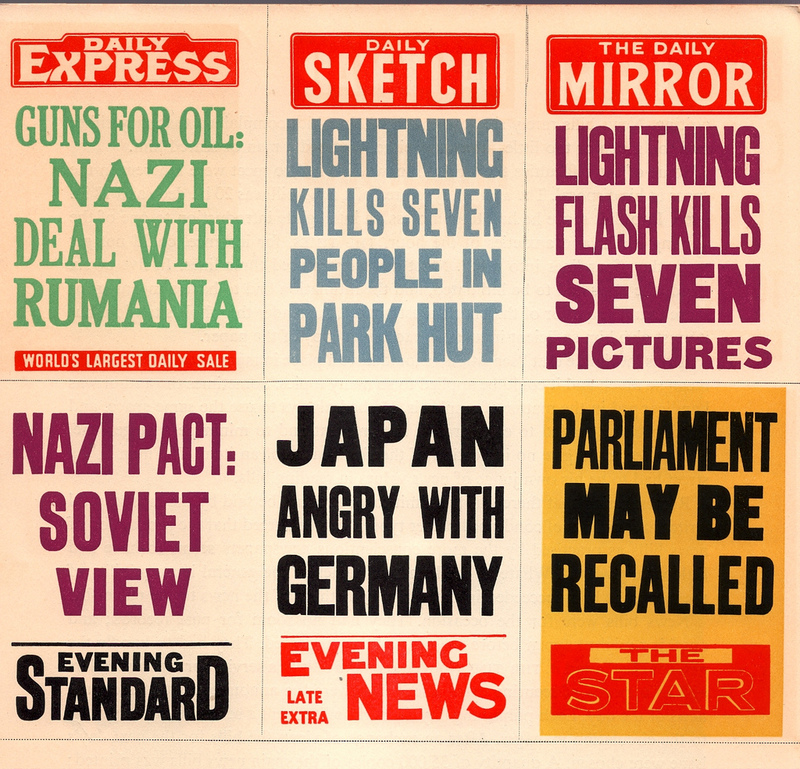 And official records in the UK, and the world, are just a blip of what has gone before. Diaries of events during the July 1808 heatwave, mentioning accounts of people and livestock dropping dead in fields and birds dropping out of the sky, suggest that somewhere in Lincolnshire possibly saw the temperature exceed 40C. A report in today’s Express suggests that a heatwave could be on the way. Unless they are looking at a different set of charts I think the report is probably more to boost their sales – figures show that every time the paper splashes on the weather sales spike 10%. While we may still see the odd hot day, as we did last Thursday when I recorded the year’s second-highest temperature of 33.6C, I don’t think we are going to see a sustained run of 30C plus temperatures. More *heatspike* than *heatwave*. August is likely to be average overall. Often with a change of month comes a change of weather. And weather models this morning suggest this phrase will hold true. Looking back over the last ten years August has been the wettest summer month on five occasions. Given that June rainfall was just 38% of average and July rainfall currently (as I write this on 25th) just 28% of average, it is not surprising that August could potentially be the wettest summer month. The Atlantic looks like it will have cranked back into action by the first week of August bringing us a period of more unsettled weather – a more mobile westerly flow which means cooler conditions than we experienced during most of July. The first week looks the most unsettled – no huge rainfall totals though there will be rain or showers around, some of them potentially thundery. 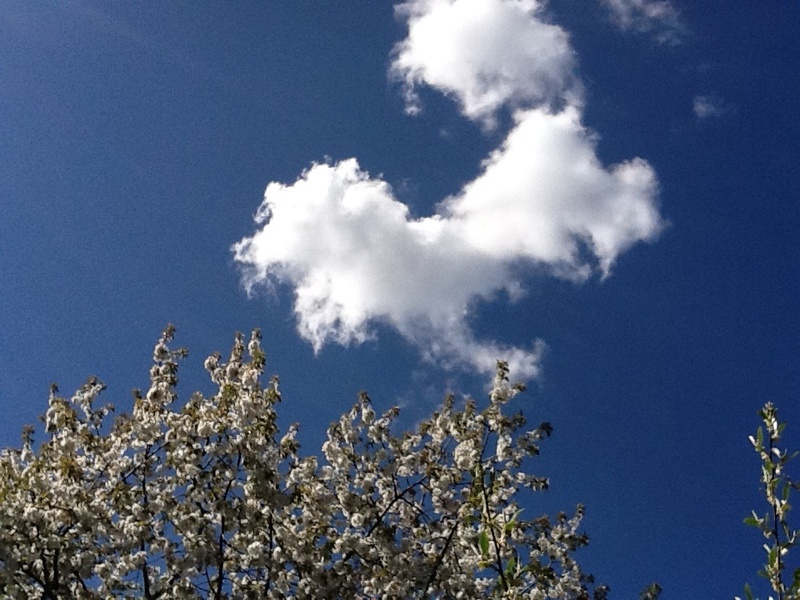 Temperatures in the low 20s – though up to 25C on any brighter days. The second week could start quite thundery with potential for a heavy downpour. After this I would expect the Azores high to ridge northwards settling down the weather to give possibly the best weather of the month during the third week – temperatures still in the low to mid 20s with lots of sunshine around and cool nights. As the high pressure shifts, bringing a more east or south-easterly flow, days could become briefly very warm at the start of the fourth week. However the high pressure could start to drift north as the wider pattern begins to respond to a very active US hurricane season. Though it is a long way off all that extra energy in the Atlantic will begin to feed through to us at the end of the month, turning things unsettled again in time for the August Bank Holiday. September could be very wet indeed. So in summary the buzzword for August is average overall with decent sunny summer’s days coupled with the odd rainy or showery day. No return of the heatwave – but also not the washout of the last few summers. Remember the time when most local parks had a lido – or at least a kiddies paddling pool? 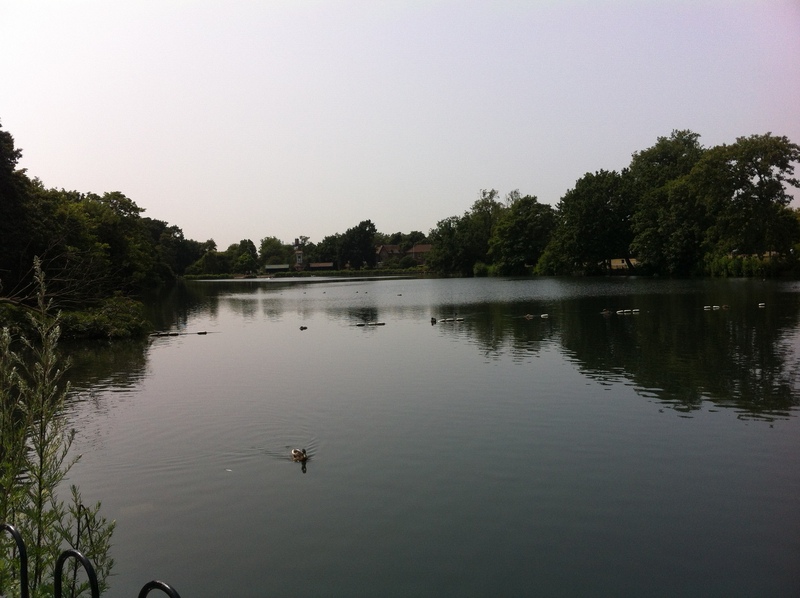 Growing up in the area I remember being spoilt for choice for an outdoor swim – Valentines park, Barking park, Leys, and Larkswood to name a few. Barking, thanks to a lottery grant, has recently reopened as a ‘splash park’. All very nice – but its not a proper lido. When Valentines park pool closed in 1994 there was outrage that yet another of London’s once grand leisure facilities was going the same way as many other lidos which closed in the seventies and eighties. A petition to retain the pool signed by over 2,000 people fell on deaf ears – the powers that be unwilling to finance repairs that were estimated at £250k. The 150ft by 50ft H. Shaw-designed facility was demolished at a cost of £26k in 1995. I’d never thought about the background behind Valentines pool until I chanced upon some info. The idea of a swimming pool in the park was first proposed in July 1923, at an estimated cost of £7,700. The council at that time, however, decided against this proposal and recommended that such an open air swimming pool be built as part of the scheme for the new High Road baths. However, in October 1923 a revised estimate of £5,500 for a pool in the park was submitted and it was decided to that work could be provided for local unemployed during the winter of 1923/24 in conjunction with the Unemployed Grants Committee. In December 1923 sanction to apply for the loan was received from the Ministry of Health and work commenced on the old gravel pit. The swimming pool was officially opened to the public on Saturday, August 2, 1924. Perhaps this could be the way forward for a new pool – utilise the unemployed to dig in for a cooler summer? In the event and with advances in earth moving machinery I would doubt this would be politically possible to implement. But with lottery funding, council leadership and public will – surely it is possible? A design sympathetic with the Grade II landscape on the Register of Parks and Gardens of Special Historic Interest, that hosts the excellent Valentines Mansion, would surely be a vote winner for any local politician. 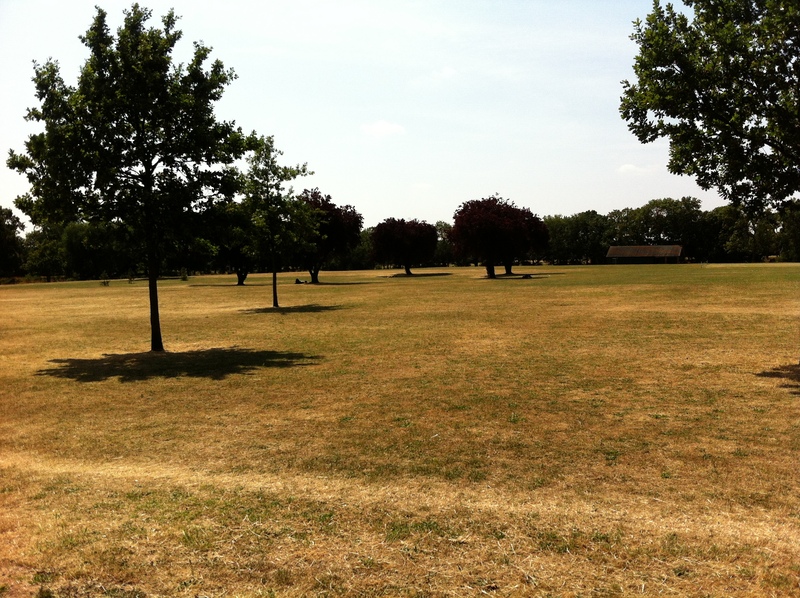 Rather than a knee-jerk reaction to the heatwave which has seen temperatures widely exceed 30C the past four days this is a genuine appeal to Redbridge and other local authorities to at least consider bringing back these facilities that used to be widely enjoyed by the masses, many of them affordable or even free of charge. They don’t have to be expensive white elephants – the few lidos that were spared the axe or have reopened, such as the London Fields lido which reopened in 2006, are well-run facilities that are used all year round. Anyone who’s tried to use a public swimming pool recently, indoors or out, would know that demand often seems to outstrip supply – just the other week I had to abandon plans to visit the brilliant new Dagenham indoor pool because the waiting time was too long, much to the disappointment of my 6-year-old daughter. The wonderful work done so far on the restoration of Valentines is commendable. A pool would be the icing on the cake. Legend has it that the weather on Monday will be the same for the next 40 days. St Swithun’s Day is probably among the most well known of weather folklore – but, taken at face value, it is probably the most unreliable. 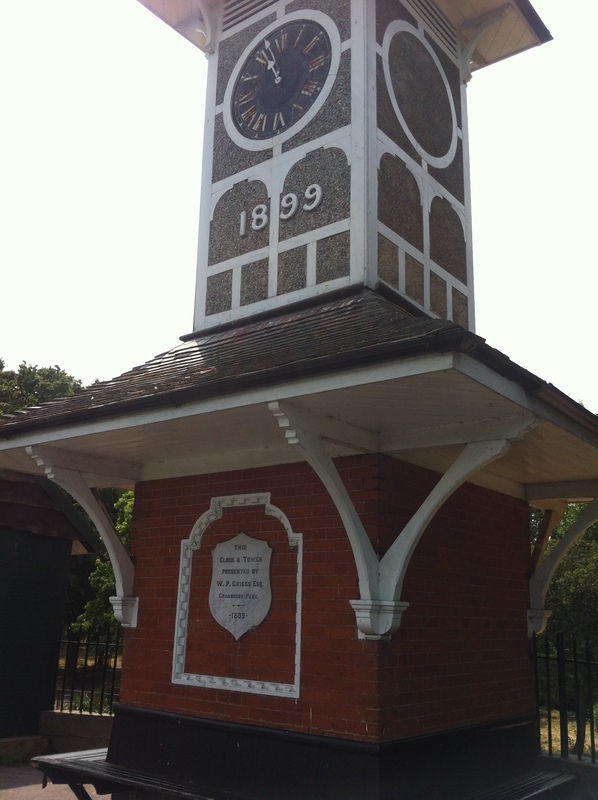 Since 1961 Wanstead has enjoyed 29 dry St Swithun’s Days (56%). From these the longest dry spell that followed was just 18 days, in 2000. On average, if St Swithun’s is dry, the weather stays fair for five days, with rain arriving on the 20th. Another interesting observation is that the 40-day period that followed a dry St Swithun’s is on average 13% WETTER than if it rained on July 15th. So what does this mean for the rest of July and the summer? Looking back at other years that have seen a dry and warm pattern in the run up to St Swithun’s Day we should see a continuation of the dry, warm and sunny conditions, perhaps with a thundery breakdown arriving on the 27th. Putting superstition and singularities aside current weather models back this up, also suggesting an extended period of dry weather lasting well into July. 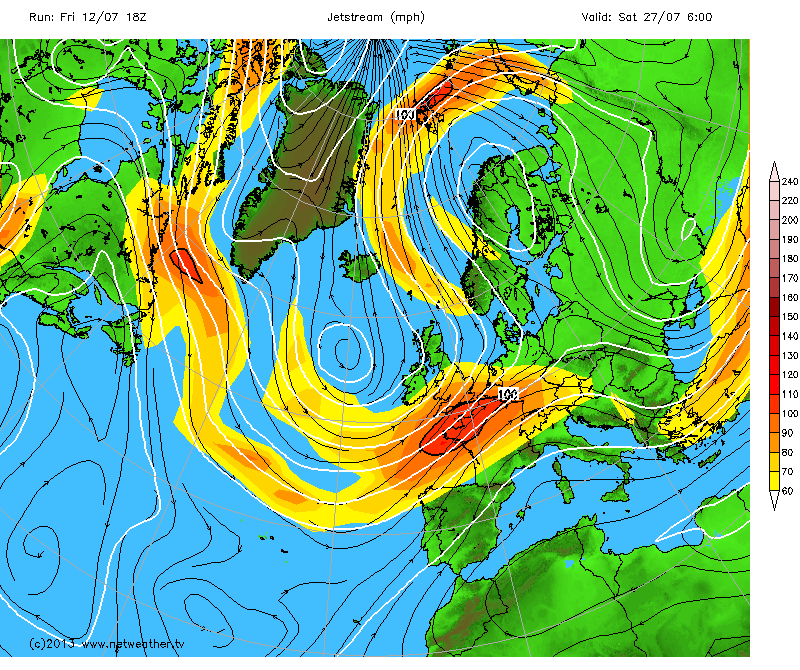 However, the latest jet stream forecast this evening suggests a period of unsettled weather, ie rain, on… 27th. We shall see. St Swithun was born around 800AD and died on July 2, 862, at Winchester, Hampshire. According to historians he was fond of building churches in places where there were none. St Swithun, who was bishop of Winchester, was buried in the churchyard of the Old Minster at Winchester, where passers by might tread on his grave and where the rain from the eaves might fall on it. His reputation as a weather saint is said to have arisen from the translation of his body from this lowly grave to its golden shrine within the cathedral, having been delayed by incessant rain for 40 days. The basis of the St Swithun’s saying follows the fact that by July 15th summer weather patterns are already well established and tend to persist through the coming weeks. In meterological terms the position of the frontal zone around the end of June to early July, indicated by the position of the jet stream, determines the general weather patterns (hot, cold, dry, wet) for the rest of the summer. Like a little stream in its bed, the frontal zone tends to ‘dig in’ shortly after the summer solstice. As the path of our weather systems is controlled by the jet stream, a more southerly location of the frontal zone – as happened last year – is likely to bring unsettled, wet and cool weather. On the other hand, a frontal zone shifted further to the north – as is happening this year – will help the Azores high to build over western Europe, thus bringing dry and pleasant weather to the UK. Other western European countries also have similar St Swithun’s day sayings – that follow the principle rule. In France they say ‘Quand il pleut a la Saint Gervais Il pleut quarante jours apres’ – If it rains on St. Gervais’ day (July 19th), it will rain for fourty days afterward. Heatwave? washout? Or just another changeable British summer? With all the talk of heatwaves this week it won’t be long before the media switches from piping on about the UK facing “10 years of miserable summers” to “Is our climate getting warmer?”. But the simple fact is that the UK’s climate has always varied greatly – some years, as in the last two, the pattern for summer has brought mostly miserable weather. Other years we get a run of warm, dry summers. A case in point was the heatwave of July 1808. Far removed from images of freezing Georgian winters and miserable summers the July of 205 years ago was among the warmest ever. The monthly mean for July 1808, according to the Central England Temperature series, was 18.4C – the 6th hottest July since the beginning of the series in 1659. While temperature records of July 1808 are not unheard of in an English summer one record that remains is the size of the hail – which fell in damaging storms when a thundery breakdown arrived on the 15th. 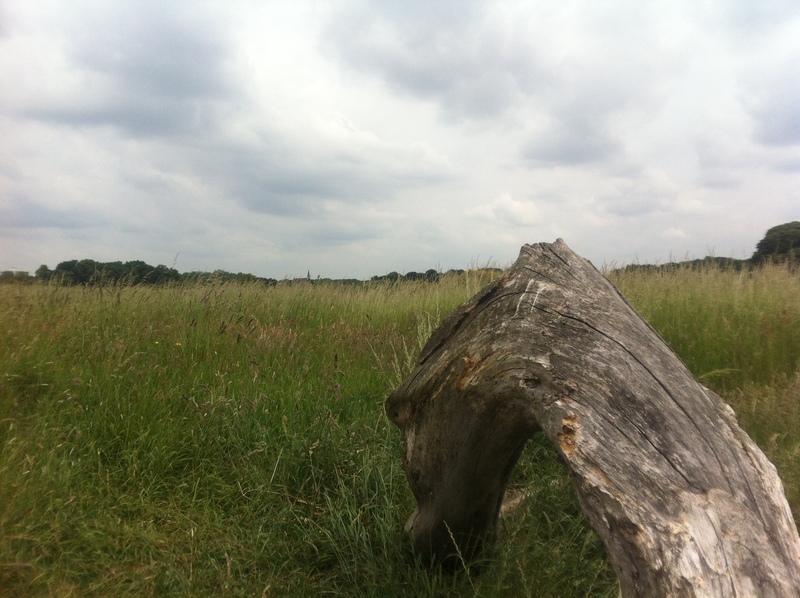 The main storm missed Wanstead and the surrounding area – though Howard, writing in his Plaistow observatory, knew the weather was on the turn: “Dew on the grass, a fine breeze from ENE. Much lightning in the west this night, a few drops of rain.” Howard would have been referring to all the action about 120-odd miles west where one of the most ferocious storms in recorded history was unfolding. Trees were “shivered to atoms”, livestock killed by lightning, crops were ruined and countless windows and glasshouses smashed by huge hailstones. A lot of the detail of the storm was compiled by a man named Crocker, then governor of Frome school, Somerset. 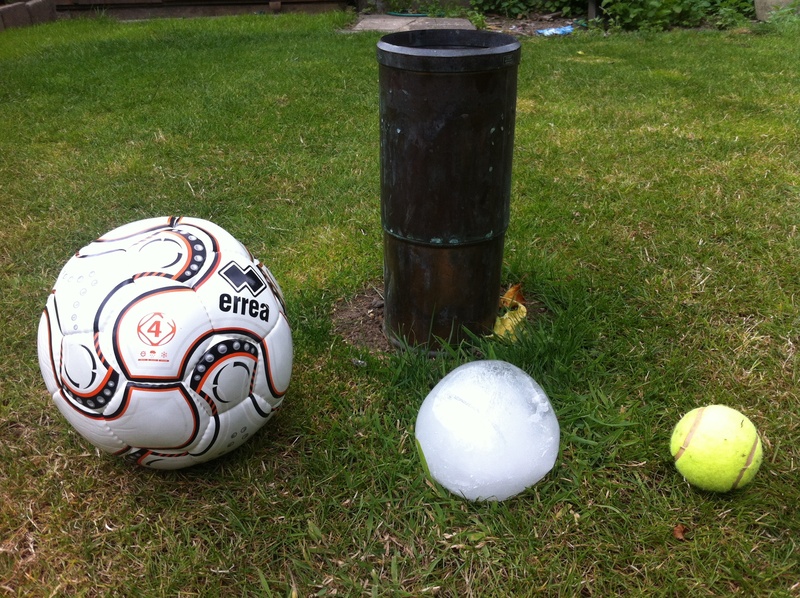 One account from Batcombe describes a hailstone that measured 13.5 inches in circumference. To give you an idea of the size of a 342mm circumference hailstone I, with the help of my daughters, made one of my own. The Tornado and Storm Research Organisation (TORRO) grades haistorms from H1-H10, where the hail increases in size from 5-10 to over 125mm in diameter. 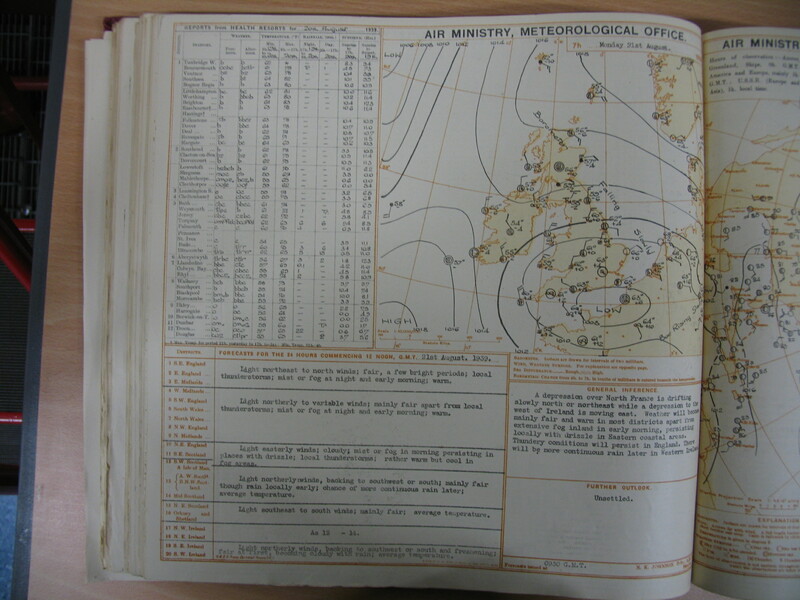 From the historic descriptions the 1808 storm was an H8/9.This exceeds the British record made during the Horsham, West Sussex, storm of September 5, 1958, which produced hailstones up to 80mm in diameter. Hailstones for the 1808 storm were about 109mm in diameter. Since 1650 there have been 119 independent H5 hailstorms in England and Wales. Since 1900 there has been a halving in the frequency of recorded destructive hailstorms. Scientists are undecided on whether this is a result of climate change or just a variability of the British weather. But any future uptick in destructive hail should be tempered by this historic record. 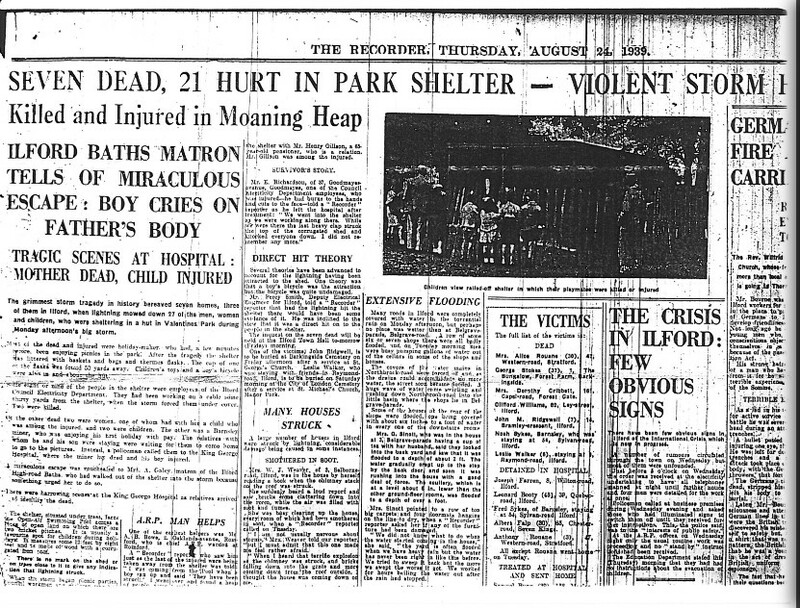 So, if any media outlets do start coming out with any stories of “unprecedented heat” or “worst storm in history” bear in mind that it has probably all happened before. Whatever happened to proper summer thunderstorms? Is anyone else yearning for a good old-fashioned summer thunderstorm? As we move in to what is traditionally the most thunderstorm-prone month – the Met Office average for this area is three days of thunder – you would be forgiven for thinking that we have plenty to look forward to. It was George II who some time during the 1730s apparently characterised the British summer by saying that it was ‘three fine days and a thunderstorm’. The reality these days, at least in this part of the country, is quite different. Yes, brief fine spells do still break down – but the classic stormy nights I can remember being kept awake by when I was a lad in the Eighties are now a distant memory. A look back through the records shows that our most thundery month happened in June 1982, when thunder was heard on 13 days. On the 2nd a woman was killed after being struck by lightning while walking in a park in Willesden. More storms followed over the next couple of days and there were three more deaths in the UK caused by lightning. One thunderstorm over Loughton flooded 200 houses, some up to the ground-floor ceiling and at least 12 properties were struck by lightning. 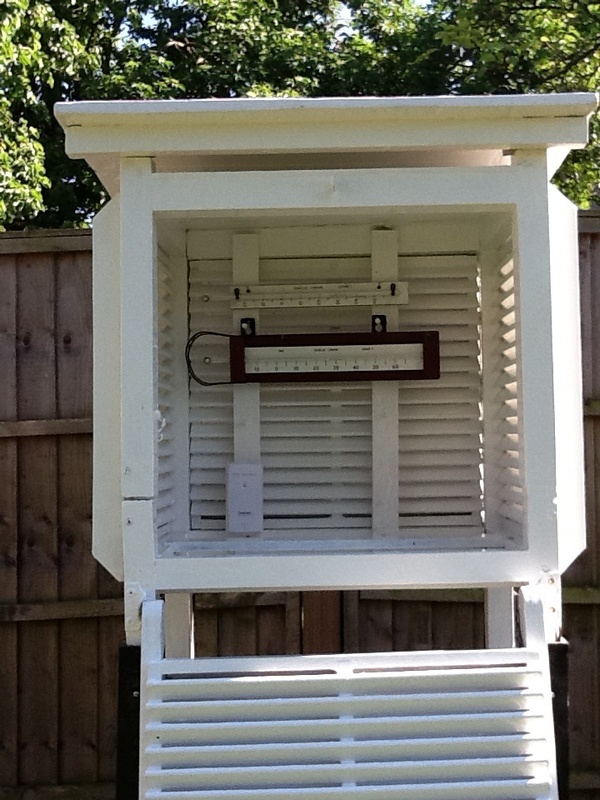 One observer recorded 79mm of rain, one and a half times the monthly average, in 90 minutes. Despite a couple of instances of good potential for thunder this past month has been, so far, completely thunder-free, with all the activity passing well to our east. On June 20-21, there were 235,809 lightning strikes in 24hrs over Germany. To put that into perspective the UK, on a typical ‘thunder day’ in summer, receives up to 10,000 ground strikes although the exceptional day of 24 July 1994 produced 85,000 ground strikes. So what is the potential for thunder in July? 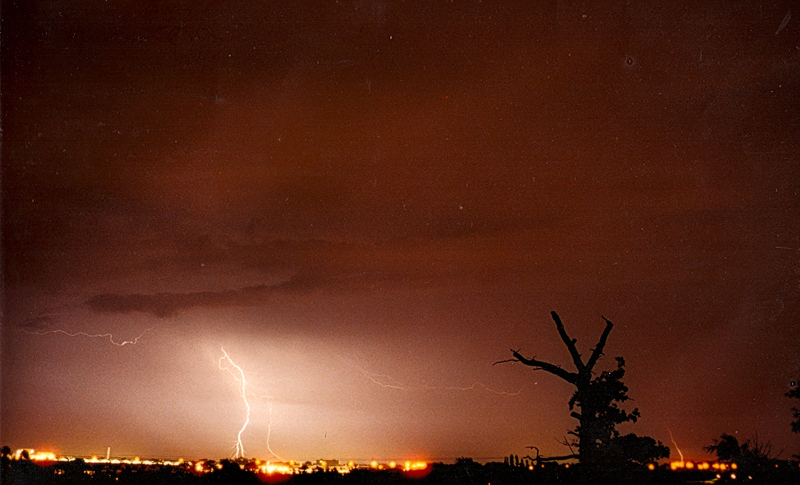 Looking back at Wanstead and the surrounding area’s local records the average number of days that thunder was recorded works out as 3.5 – though some years thunder occurred considerably more than others. But to get thunderstorms first we need the ingredients. The classic scenario happens at the end of a short heatwave, a cold front advancing from the west undercuts hot and humid air that has been in occupation for two or three days. If there is sufficient moisture in the upper atmosphere, cumulonimbus clouds will bubble upwards to the base of the stratosphere, and thunderstorms will soon follow. Apart from the first couple of unsettled days at the beginning of July the above scenario looks unlikely to happen at least in the first half of the month. The North Atlantic Oscillation is predicted to stay positive into July – this spells good news for us as it suggests that the Azores high will dominate our weather, bringing lots of fine and dry conditions. With the jet stream and westerlies being kept just north of Scotland, temperatures should be average to slightly above. It is possible that the high could further dominate as the month goes on. But it is also possible that pressure will start to fall after around the middle of the month. Though it is impossible to predict in detail perhaps a date of around 20th would be the most likely for thunder? It is too soon to say if the recent trend for a paucity of thunderstorms is just a blip. 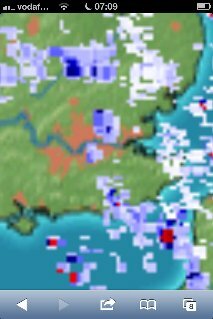 It could just be another typical variation of the British weather and we will shortly see an upturn in summer thunderstorm activity. The next seven days look to be remaining cold, with a risk of snow at times. The temperature will struggle to get above freezing most days – maximums are likely to average 0.1c by the end of the week. Minimums are forecast to average -4.6C – so plenty of frost around again and some very low minima possible should any snow settle. Despite warnings to the contrary by the Met Office I am not expecting Friday / Saturday’s snow event to amount to much for our area – 5cm to 8cm at most – with all of the action well to the west of us and over high ground. There’s a chance that the front will fragment before reaching us – or even stalling over southern England before “pivoting” away into France. This scenario has happened many times before when we’ve had a “block” of very cold air to our east and north-east as we do now. Another event looks possible on Tuesday – but don’t be surprised if we see very little snow. The past week, as discussed in the last bulletin, saw a change to progressively colder weather, the change being very marked last Wednesday with the appearance of the sun after days of cloud and gloom. 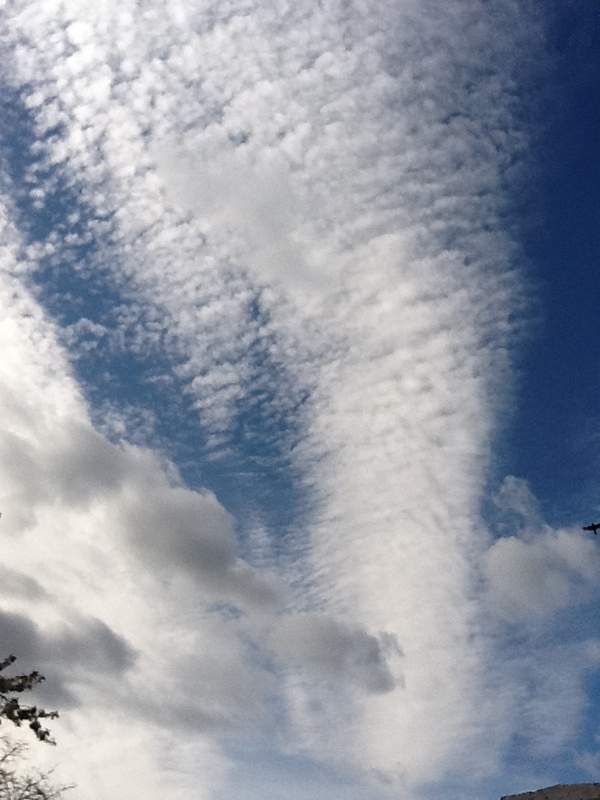 The murk and cloud returned though it stayed cold, by Saturday with a chill east wind. Sunday failed to bring the predicted snow – the front just wasn’t powerful enough against the cold block to our east. However, Monday was different and snow began to fall around 5am on Monday, giving a 1cm covering. The track of the low saw a warm sector pass over up, raising the dew point and turning the snow to rain at low levels. Epping and areas of a similar height managed to remain snowy. Saturday (January 12) represents the 199th anniversary of this event noted by Luke Howard in “The Climate of London” – a pioneering book on the study of urban climate, which contained continuous daily observations on temperature, rainfall and wind direction. 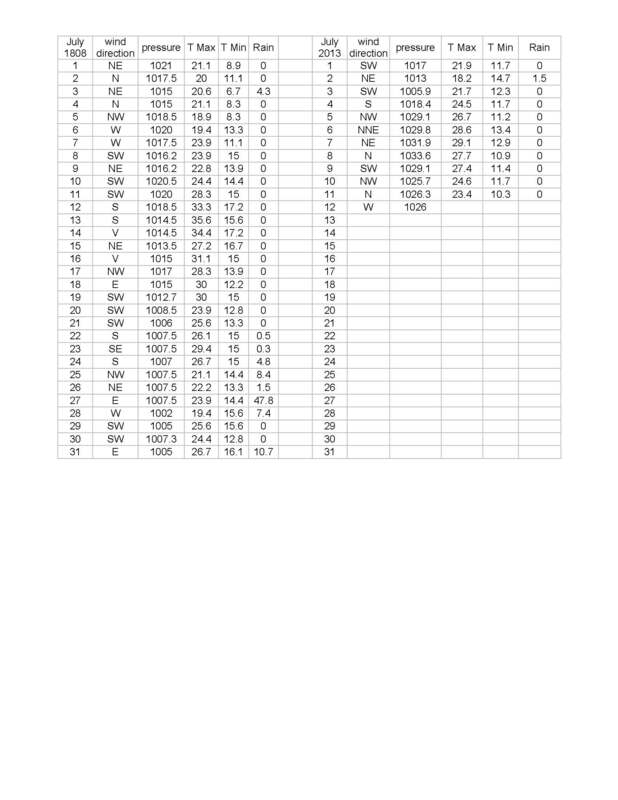 Temperatures the following week of the severe winter of 1813/14 at his laboratory in Plaistow, just a few miles from here, are hard to imagine by today’s standards in the capital – the average maximum being -2.2C, with night temperatures falling to an average -7.8C. There has been much talk of severe weather arriving from this weekend onwards, with some chatrooms on the web ramping up rumours of a repeat of the severe winter of 1947. Whilst it is going to turn cold, with the possibility of snow increasing from early Sunday onwards, it is far too early to make predictions of a repeat of the famous ’47 winter which did not really get going until well into the second half of January. Indeed, records from Camden Square show that this week in 1947 would be remarkably mild – with a mean maximum of 10C while nights were a mild average of 5C. So what has the next seven days got in store? With confidence in weather forecasting models at an unprecedentedly low level it is hard to pin down exact values on temperatures and weather much beyond Sunday. At the time of writing we can expect maximums to gradually creep downwards through the period – giving an average of 2C by the week’s end. Minimums are forecast to average -1C – so plenty of frost around. It currently looks like any precipitation on Saturday will start as rain before turning wintry. There is the chance this will turn to snow by Sunday morning to give a covering. Far more snow looks likely from Monday onwards. As said there is much uncertainty so keep a very close eye on output from the Met Office if you are planning on travelling. The past week has seen much dull, cloudy and quiet weather, influenced by high pressure on the near continent. I often find this to be the worst possible winter weather as nothing much seems to happen. A bonus it did bring, however, was a break at last from all the rain.